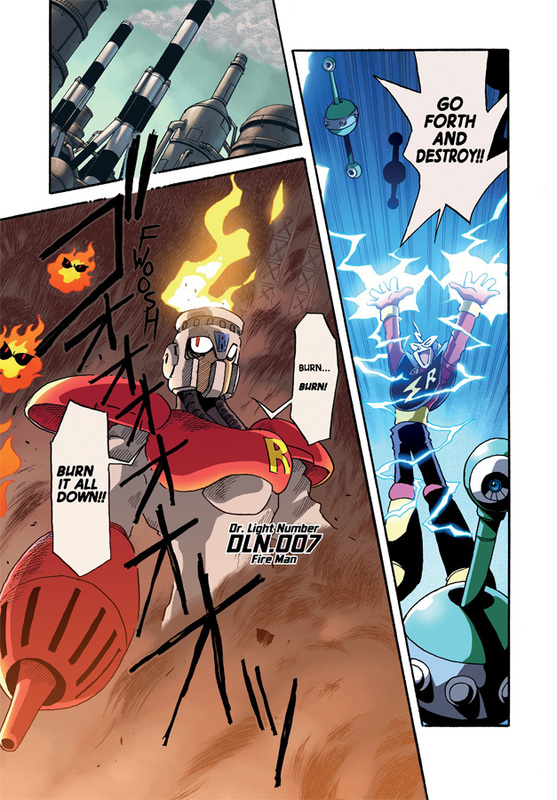 By way of Udon Entertainment's Matt Moylan, here's a few sample pages from the first issue of Mega Man Mastermix; the planned ongoing, full-color comic series coming in January 2018. Well, what do you think of the colors? This is Josh Perez's handiwork, who is perhaps best known for his work on IDW's Transformers comics. 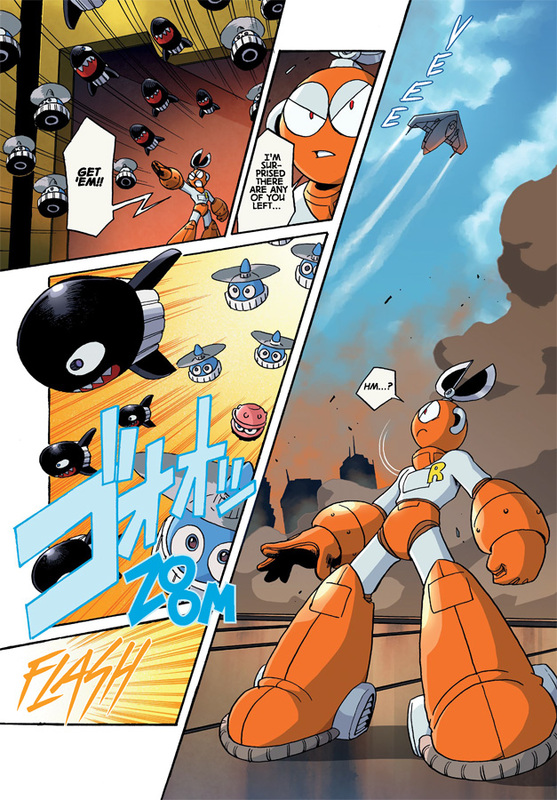 Original author and illustrator Hitoshi Ariga is supervising Perez's coloring, too. What's more, Ariga will provide new cover art for each issue! Again, the first 80-page volume arrives in January with future issues coming out each quarter. There is no set length for Mastermix. 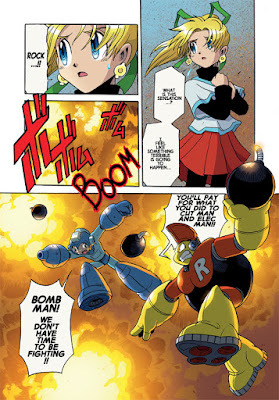 In other words, the series could very well cover Megamix *and* Gigamix. Beyond that, well, we shall see! Thanks for the goods, Matt! Colors are absolutely gorgeous. I'm not interested in picking this up, but it'll be a neat treat for those who are into this sort of thing. Hope to see Ariga-san produce a new Mega Man manga in the future. So, is Mastermix only going to include Megamix, or will it include both Megamix and Gigamix? It's ongoing so it's Megamix and beyond. I guess it will be awhile before we know if these will be compiled into GN format for easy reading. Looks sweet to me. I just want a subscription where it will be delivered regularly without me having to sweat tracking it down at a comic book store or ordering each one individually. Looks great! And by the way, good to see some of Ariga's designs finally getting an official colored version (to know the right color from some details, as I don't like "guessing" when doing "accurate fanart" :P). The question is, will it be sold on Comixology or somewhere digital?